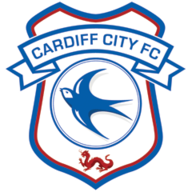 Cardiff gave their fight against relegation a shot in the arm with a crucial 2-0 win against the Seagulls at the Amex Stadium on Tuesday night. 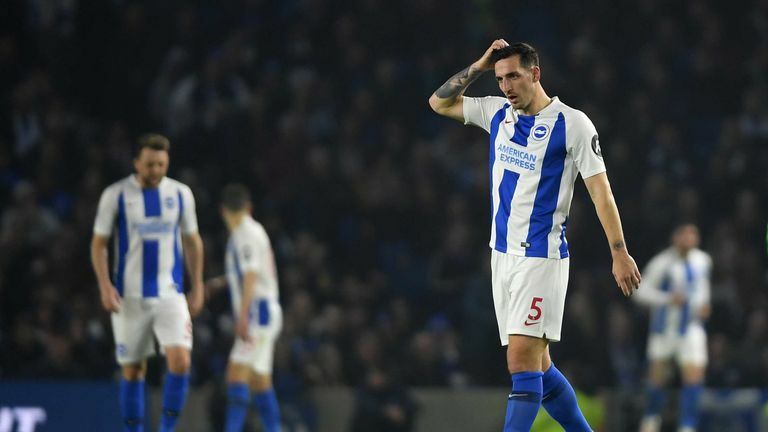 With Cardiff gaining belief in achieving a miraculous escape, the spotlight has turned on Brighton as they continue to sleepwalk towards relegation following a fourth straight Premier League defeat. Chris Hughton's side have won just three league games since December 4, and jeers greeted the full-time whistle following a third straight home loss - but Rosenior believes the return to fitness of Gross will have a significant impact on the club's chances of survival. "Having Pascal Gross back is huge," said Rosenior, who made 51 appearances for Brighton between 2015 and 2018. "He is the most creative player in our squad, and his stats in terms of goals and assists are incredible and he was right at the top of the charts last season in terms of the whole Premier League. "We've missed him for a huge part of the season. Having lost Pascal, we didn't have that natural No 10 who could come in so we had to change the shape. "This is only our second season in the Premier League, so when you're a team like Brighton in this position, you need your best players fit. Jose Izquierdo as well had been a massive part of our wide threat. 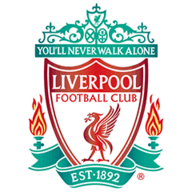 "We've missed his pace and his directness for huge parts of the season, and when you're losing your most important attacking weapons, it's very difficult for any team in the bottom 10 to really go on a run of results. "Pascal is going to be huge now for the rest of the season." Gross had not played since the end of February, but was unable to have an impact before he was withdrawn after 54 minutes. After being the side's most creative force last season, the German - signed from Ingolstadt in May 2017 - has only managed two goals and two assists this season. The midfielder was one of five changes made by Hughton to his side following the 5-0 defeat against Bournemouth on Saturday, opting to switch to a 4-3-3 formation ahead of facing the fellow strugglers. The Bluebirds arrived at the Amex Stadium five points adrift of their opponents and with many bookmakers and pundits writing off their chances of avoiding an immediate return to the Sky Bet Championship. But goals either side of half-time from Nathaniel Mendez-Laing and Sean Morrison reduced the deficit to two points. 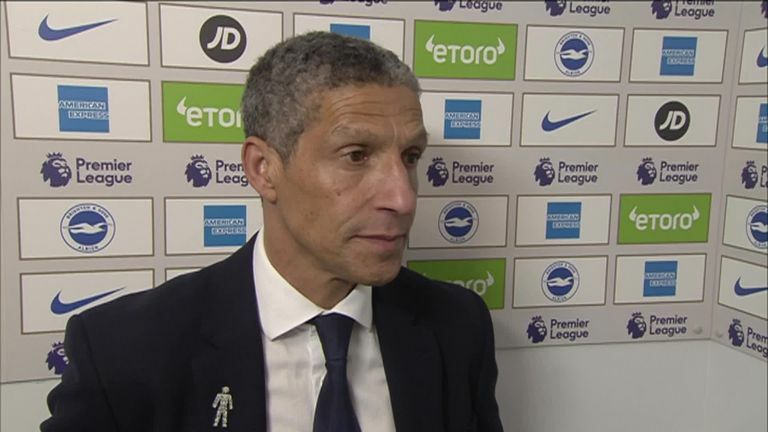 Hughton has emphasised Brighton's safety remains in their own hands with five games remaining, one more than 18th-placed Cardiff. Brighton travel to Molineux to face Wolves on Saturday before they visit Tottenham next Tuesday, with fixtures against Newcastle, Arsenal and Manchester City to come. Will Brighton respond to wake-up call? "It is still in our hands, we're still two points ahead, and we've got a huge game against Wolves," added Rosenior, who is currently Brighton's U23s assistant coach. "Even though Neil Warnock has done a fantastic job to keep Cardiff fighting, I'd much rather be in our shoes going into the last four games than Cardiff's. "I think the defeat rather than the manner of the defeat will hurt the most. When you're fighting for survival, it's about getting the win. It's not about how you do it and it was not the prettiest of games - it was never going to be. "I've got no doubt, that's a strong dressing room with some strong leaders.